This is an open workshop, specifically focused on assisting you with potting and transplanting tasks. 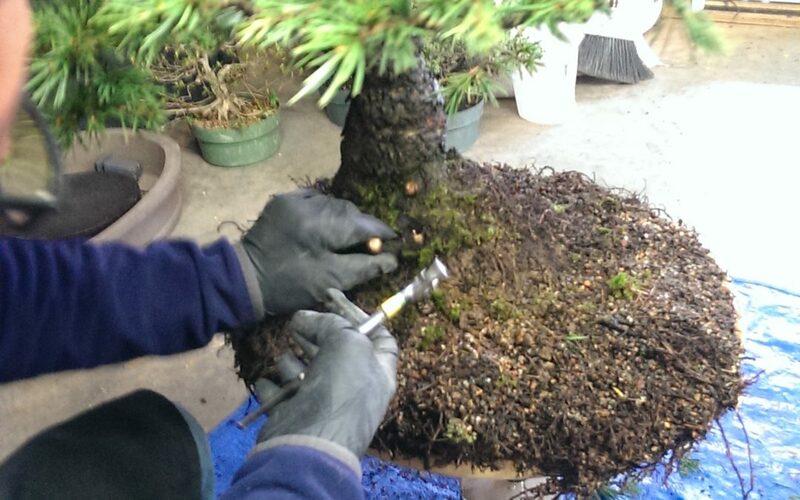 This date in February will be focused on deciduous material before and during bud break, but conifers can also be potted. We will have soak tanks ready with rooting hormone in them and the space will be arranged to facilitate potting. No need to get your area ready and dirty for potting, come to our place! We have scheduled it early in the springtime just as plants are pushing their new growth for the season. It’s an all day event and we invite you to bring as much material as you feel you can work on during the course of the day. As an added bonus our professional grade premix bonsai soil will be on sale this day at 10 percent off its regular price. Pack up your trees and come get your hands dirty with us. Depending on warmer weather this class may be moved back so that repotting occurs at the correct time. Students are required to bring their own tools and wire.